We are all things web. We love what it can offer and we love what we can develop with it. With our fingers on the proverbial pulse of the digital world, we are always trying to work with the leading tools in web design, software development and user interface design. Our experience and expertise in using industry-leading tools such as InVision, allows us to not only collaborate effectively but to collaborate innovatively. 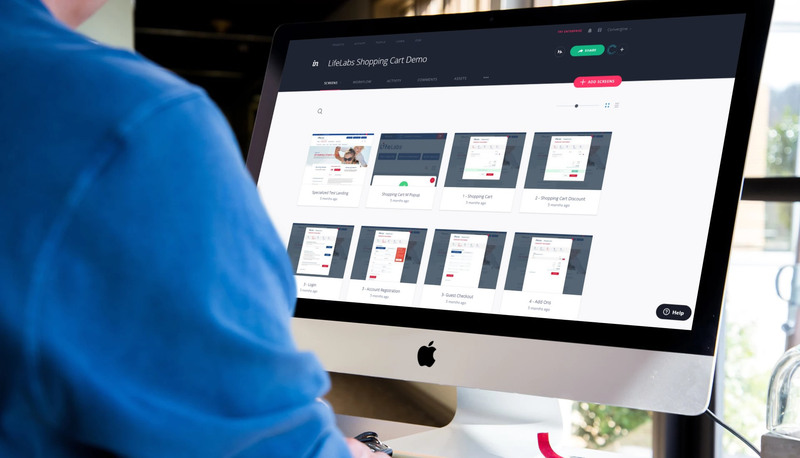 While just one of the tools we use, we love how InVision simplifies the presentation and communication process, especially for mobile designs. Its ease of use and sharing capabilities mean it is one of our favorite tools to engage with, while also allowing input from the client in a timely manner. In order to create the best product in a completely transparent way, clients are best served by having direct access to their projects. InVision allows for an understanding of the process and workflow by the client. At its core, InVision is a collaboration tool. The client is able to have access to their project through the various stages of its development and are able to see first-hand how the project is coming along. The transparency and access to industry knowledge help to lift the veil on some of the tools we use and highlights the ways in which these tools can benefit the client when they participate in these projects. Seamlessly collaborating and developing using modern tools and platforms help to make each project run smoother, which ultimately makes everyone involved a little happier. Create interactive prototypes. Invision allows us to post artwork, share linked pages that provide a nearly real-time experience. Clients can preview and provide comments and feedback directly on the project which we are able to view and respond to and make changes accordingly. We specifically like how mobile design can be presented directly on the smartphone through the link included in the text message. This way the client gets as close as possible to preview future mobile app or responsive version of the website. The client can click through all linked pages checking the UX flow and UI design elements and leaving comments wherever necessary. Create Boards and have flexible space to tell brand stories, share files, and collaborate with the team members throughout the design process. Shared comments allow us to alter or apply design changes quickly and seamlessly. We use boards to present branding design concept with all related elements such as fonts, colors, concepts, and real-life application mockups. Collaborate creatively using Freehand, a new built-in solution that gives us a collaborative space to design, co-draw, brainstorm, and capture feedback in a quick, flexible and real-time way. With Freehand, collaboration becomes even more intuitive, real, innovative and fun. And it’s getting better and better. We find that by using InVision, our team and clients can collaborate on projects, creating a seamless and efficient experience. InVision is a platform that continues coming up with great new products and features and thus brings communication and teamwork to the next level. And when the communication process is simplified, the project has a great potential to move along problem-free. Our expertise and industry knowledge is always growing and expanding as we interact and engage with some of the leading tools to help support our creativity as we develop projects. InVision is one of those tools. Its accessibility and usability help to drive the industry forward, as we use it for presentation and communication. Want to learn more about other tools we use? Check out our recent post on Figma, the platform we use to design, prototype and collaborate.